Gloss (shiny) or Satin (semi gloss) or Eggshell (flat matt), what’s best paint for Wood, Doors & Skirting Boards? 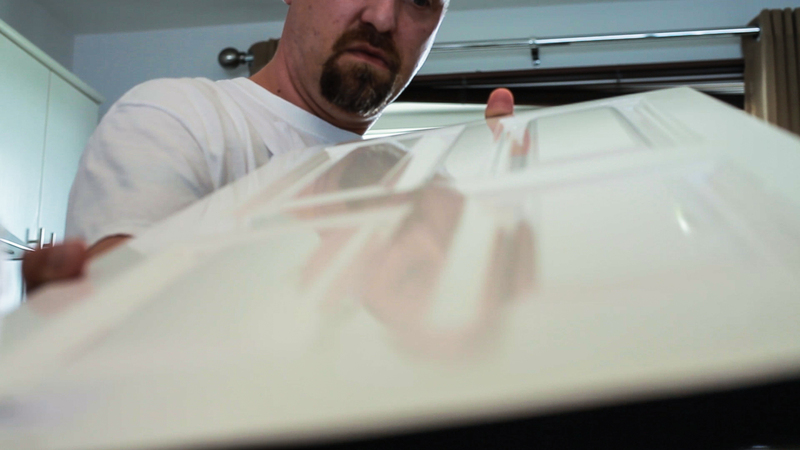 Choosing the correct interior paint finish debate lingers on…. and on…. Our 2019 paint comparison will give you the ultimate painting guide and paint finish. Old-timers swear by gloss paint on their woodwork, doors and skirting boards None of this new-fangled ‘trendy’ soft sheen satin thank you! The new school thirty and forty-somethings demand a satin paint finish to match their slick and bold coloured walls and interiors. Ultimately there is no real winner in the great Gloss or Satin or Eggshell conundrum, other than the customer, as ultimately it’s their home and their choice. When asked by a customer, our recommendation would be satinwood (also known as semi-gloss) finish in nearly all instances. 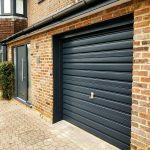 This is not only our preference, but it is also reflected by the demand of satin top coats which outnumber the gloss equivalent twenty or thirtyfold. So much so, in the last six months, I know of only one project where a customer requested a gloss finish to be applied to an internal door or external soffit on a house. As for eggshell, as the name suggests is an…. EGGSHELL type finish, also known as flat matt or matte. Now there is no surprise. I can only recall one project two years ago where we updated some tatty old kitchen cabinets in a white eggshell top coat finish, along with the internal doors, skirting and windowsills for good measure. It did look pretty amazing to be fair. As we are constantly checking for new paint trends, many recent decorator’s portfolios from design-focused website feature eggshell applied to old furniture. It really does come into its own when hand painting or spraying kitchen cabinets, wardrobes, internal doors and general household furniture. 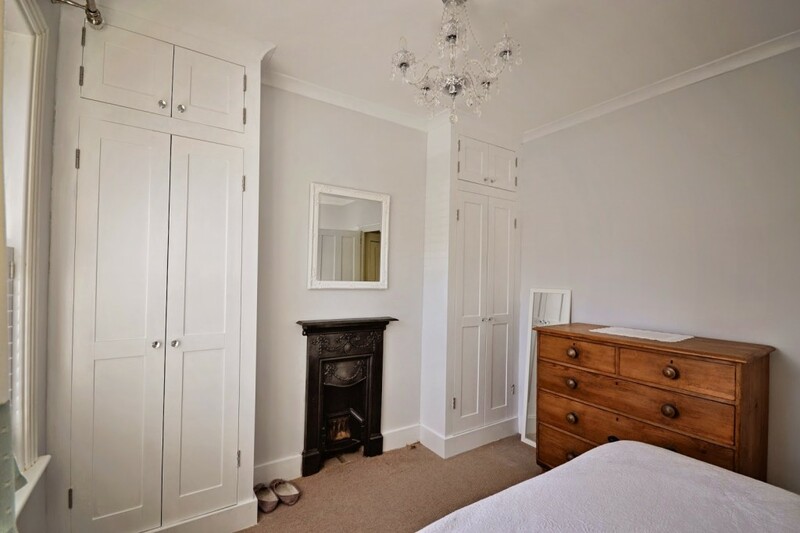 It leaves a unique traditional flat matt look and feels and breathes new life into old traditional hand painted solid wood furniture and wardrobes, especially when using heritage or older type colours such as Farrow and Ball or Little Greene. 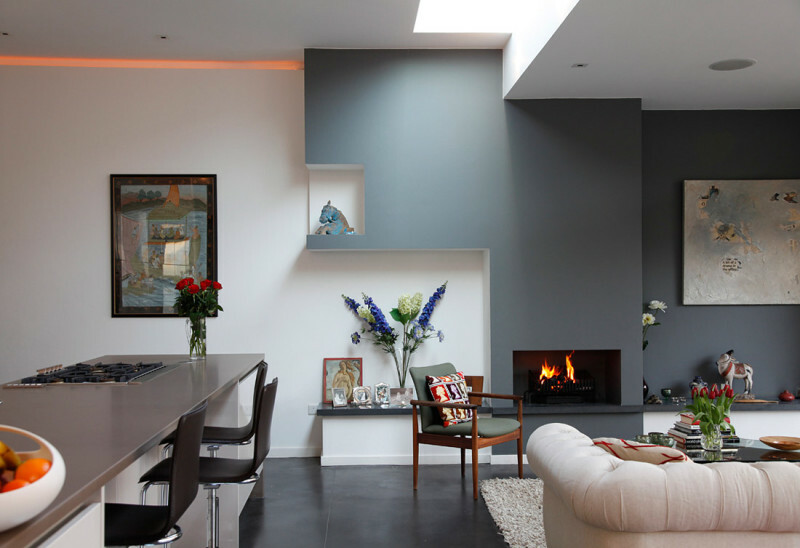 Existing mainstream paint brands such as Dulux and Crown Paints are now catching on and releasing separate ‘heritage’ colour schemes for your home. Ultimately there is no real winner in the great Gloss or Satin or Eggshell conundrum, other than the customer, as ultimately it's their home and their choice. The high reflective qualities of gloss paint. Gloss v Satin v Eggshell. Let s break down the differences for you. Gloss: A high sheen almost reflective shiny finish. A gloss finish used to be a preference as it was hard wearing. But due to paint technology rapidly moving on in recent years, this isn’t the case anymore with just gloss paints. One drawback when using a shiny gloss paint, if your woodwork is old the high sheen can be less forgiving and highlight imperfections. If you are looking to buy good TRADE QUALITY Gloss Paint for your next DIY project, we strongly recommend JOHNSTONES TRADE AQUA GLOSS. 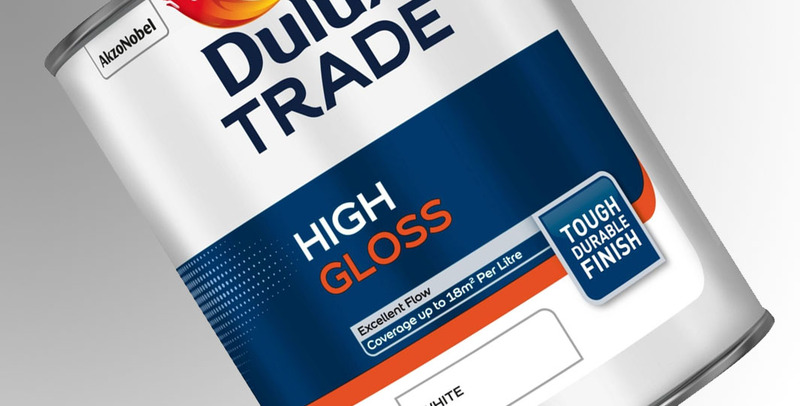 Specially formulated to give all the application and appearance characteristics of traditional gloss with the added advantage of being quick drying and low odour during application. Available to purchase here. Satinwood or Satin (Semi Gloss): A mid sheen/semi gloss satin finish which is not as reflective as gloss but not as flat as eggshell. 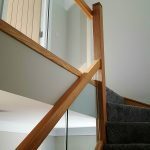 Satinwood finishes tend to look more modern and more solid in colour as the finish it is less reflective. Some paint brands even have a plastic or enamel looking finish making any imperfections are much less obvious. 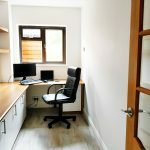 Satin or Semi Gloss comes into its own on larger surfaces such as internal doors, especially textured or panel internal doors where it looks clean and crisp and easy to maintain and clean. 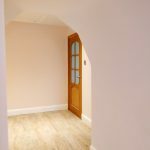 If you are looking to buy good TRADE QUALITY Satinwood for your next DIY project, we strongly recommend Dulux Trade Satinwood. 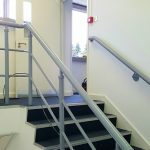 Being a trade quality paint, it is tough, hardwearing, dirt resistant and does not require an undercoat (except where a strong colour change is required.) Available to purchase here. Eggshell (Flat Matt/Matte): An almost matte or flat finish with hardly any reflective, shiny or sheen qualities. 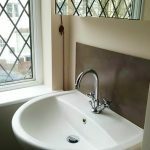 It’s the number one choice for larger wood surfaces, metalwork and furniture such as kitchen cabinets, especially when trying to recreate a shabby chic look. As the durability is greater than standard contract emulsion paints, eggshell is ideal for walls in high traffic areas where walls receive above average wear and tear making surfaces easy to clean with a matt/matte flat finish. A bedroom with all the wood work finished in Satinwood. Notice how clean and crisp a Satinwood finish is? If you are looking to buy good TRADE QUALITY Gloss Paint for your next DIY project, we strongly recommend JOHNSTONES TRADE ACRYLIC EGGSHELL. Johnstone’s Acrylic Eggshell is a premium quality, water-based, mid sheen finish formulated for interior use on walls, ceilings, wood and metal work. Available to purchase here. 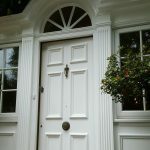 What’s the best white paint for interior doors? Well, firstly you want to match the type of paint using either Satinwood, Gloss or Eggshell to match the rest of the trim and woodwork. So if you use a satin top coat for the rest of the wood, you are best using a satinwood paint for your white interior doors. You do not necessarily have to use white paint. You could choose another satinwood, gloss or eggshell paint colour to make a feature of your internal doors and make then really standout. 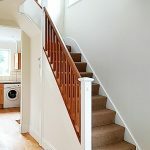 Regardless of what final paint coat you choose for Woodwork, Skirting and Doors, please remember preparation, more preparation and the good quality undercoat is of the utmost importance when trying to achieve an attractive and high-quality finish. Still none the wiser? 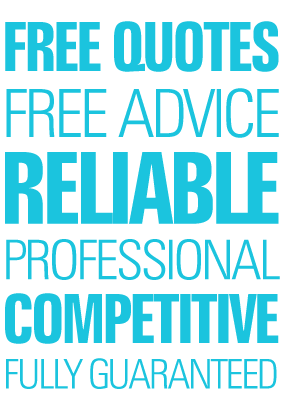 Contact us for free helpful advice and help you choose Gloss or Satin or Eggshell or share your thoughts and leave a comment below, we’d love to hear your gloss, satinwood or eggshell experiences! 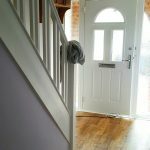 I have always used gloss paint for interior doors, skirting and door frames, I am now painting woodwork on hall, stairs and landing using satin finish as my wood is not in good condition but I am not liking it as it looks like the undercoat. Is there a paint that is between the 2, such as slightly shiny, but not as much as gloss? What Satinwood are you using as there are so many variables? With waterbased Satinwood paint, it requires a cure time (usually 5 – 7 days) and during this time the sheen will become more apparent as it cures. Another option is to give it another coat to make the coverage more solid, remembering to give it a light sand with a sanding pad prior to applying the new coat of satinwood.